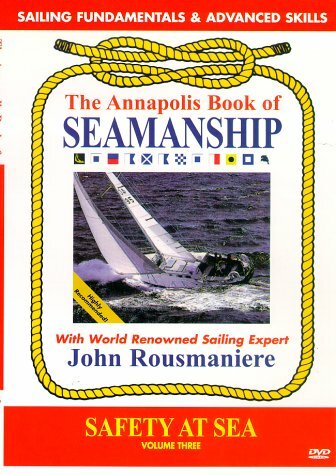 Featuring world renonwned sailing expert John Rousmaniere. This fast-paced informative DVD covers the proven techniques and equipment for avoiding and handling nautical emergencies. Featuring host-demonstrator John Rousmaniere, this program is for everyone who realizes that enjoyment on the water depends on safety at sea. Subjects covered include, boat and crew preparation, staying on board, going aloft in a boatswains chair, realistic man-overboard equipment demonstrations, heaving to, use of flares, government regulations, inflation of a life raft and much more. If you have any questions about this product by Bennett Marine, contact us by completing and submitting the form below. If you are looking for a specif part number, please include it with your message.